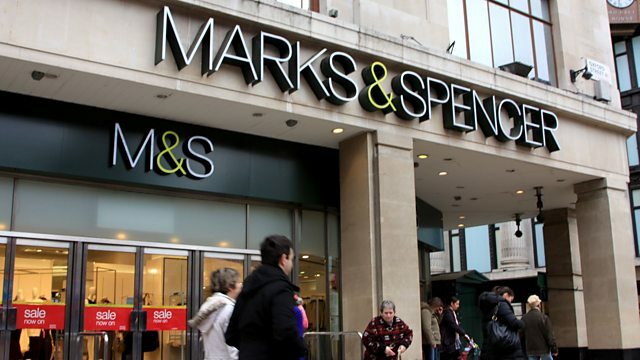 BBC Radio 4 - You and Yours, Call You and Yours: What would you change at M&S? Call You and Yours: What would you change at M&S? Consumer phone-in. What should change at M&S? What would you change at M&S? Steve Rowe will announce his latest plans to revamp the business tomorrow. When he took over as Chief Executive in April he promised to improve clothing and homeware sales - but the company returned its worst quarterly sales figures for a decade. It looks like some smaller high street stores will go - and there could be less clothing and more food. But what would YOU change at M&S? Email us at youandyours@bbc.co.uk - and please include your phone number so we can call you back.